A truck driver has died in a crash, south of Coffs Harbour. 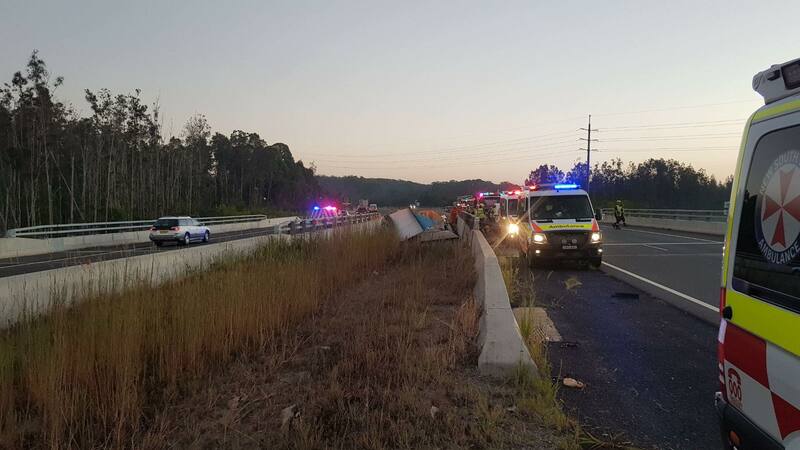 Emergency services were called to the Pacific Highway at Raleigh just before 6am today, after a B-Double left the road and crashed into a creek. Officers from Coffs Clarence Police District are at the scene and investigating the circumstances surrounding the crash. A truck crash between Raleigh and Urunga on the Pacific Highway has one lane closed in both directions. The B Double left the road before coming to a halt in between two bridges near Short Cut Road. Motorist should expect delays during the morning as investigations continue.